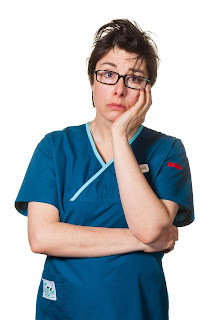 When I first heard Sue Perkins was writing a sitcom following a skilled veterinarian who is pushing forty and battling with coming out to her parents, I couldn’t quite contain my excitement! Now, the air date has finally been released and the countdown can begin. Any LGBT representation on mainstream TV is a fantastic step forward for society as it breaks down the barriers between ‘them’ and ‘us’ by normalising the lives of minority groups – yes, we also have straight friends and yes, we can be successful too. LGBT characters onscreen are also vital for young people to see that they are not alone and although coming out can be an extremely worrying and scary time, people get through it and they can too. Written by and starring the wonderful comedienne Sue Perkins, Heading Out is sure to be welcomed by lesbians everywhere, particularly after fan-favourite Lip Service was cancelled. We love watching Sue present The Great British Bake-Off and numerous history documentaries, but we will lay claim to this new sitcom and hope all viewers will enjoy it for what it is – light-hearted comedy with a central character who just happens to be gay. ‘More importantly than anything else, I wanted to write something from a little experience about being gay but firmly base it in the real world, which is predominantly heterosexual. It’s not a political piece - it’s just saying we’re all the same. I’d like people to look at Sara and feel sympathy and want her to get together with Shelley Conn’s character Eve and for them to feel sad when it’s complicated. The hilarious Sue plays Sara, a veterinarian so skilled, she can spay a tortoise one-handed. She’s successful, she’s popular, but there’s just one chink in her armour – she’s too scared to tell her parents she’s gay. On the evening of her 40th birthday, Sara’s friends Jamie and Justine give her an ultimatum: either she tells her parents when they come to visit in six weeks’ time, or they will. To help Sara achieve this goal, they've saved up to buy a series of sessions with Toria, an eccentric and mildly qualified lifestyle coach. You can read the BBC’s interview with Sue Perkins on Heading Out in full here. Joining Sue on screen is a brilliantly funny cast, including Nicola Walker and Dominic Coleman who play Sara’s best friends and work exceptionally well as a trio (Dominic in particular brings a certain sparkle to the show). The show also stars Joanna Scanlan, Mark Heap, Raquel Cassidy, Dawn French, Shelly Conn, Harriet Walter, Steve Pemberton, Jeff Rawle, June Brown, Anna Skellern and, of course, Sue’s comedy partner in crime, Mel Giedroyc. Heading Out is set to air on BBC2 on Tuesday 26th February at 10pm.